I am experimenting with fonts today. In my Professional Communications class, we watched a video of a comedian speaking about the boredom of PowerPoint presentations. One of his comments was that those who use Times New Roman are boring, lazy, and don’t care enough to choose anything other than the default font. What font do you use? Do you think that using a more personalized font is less professional or does it make you more unique (therefore a more desirable student/employee)? Do you think it changes whether or not you are using it in regards to business? 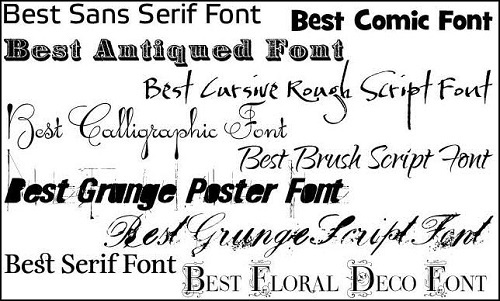 Comment on this post via Facebook and let me know what font you use and why!